Science and Technology Directorate’s (S&T) has launched its annual Year in Review — an interactive, Web-based report providing a guided tour of S&T’s successes and developments in 2015.S&T’s Year in Review includes highlights from thirty-seven of S&T’s projects.The review includes an introduction on programs and initiatives and further discusses how S&T meets its mission and fits into the larger mission of the department. According to federal government documents, problematic contract inconsistencies predominate in yet another CBP surveillance technology program. The CBP contract in question calls for the production of Multiple Surveillance Capability (MSC) vehicles. Unfortunately, the unintended consequences of these documented problematic delays in the CBP and Office of Technology Innovation and Assessment (OTIA) acquisition process with Telephonics MSC vehicle contracts have serious ramifications. Equally troubling is that CBP MSC contract delays from 2010 to 2015 mirror SBInet delays from 2006 to 2011. These contract delays with Telephonics MSC vehicles, a surveillance technology already in place in other countries, continues to create a U.S.-Mexican border far less secure or safe than it should or has to be. The United States is more likely to use force in a military dispute when the president is a Southerner, according to a new study. The study argues that “Southern honor” — an ethical code that emphasizes a reputation for resolve — pervasively shapes Southern presidents’ approach to disputes with other nations, making those presidents less willing than their peers from northern states to back down during international disputes. Consequently, Southern presidents have been more likely to use military force, resist withdrawal, and ultimately achieve victory, the study finds. A leaner, more-focused national security decision-making system can help the United States succeed in a period of tumultuous change, according to a new report. Increasing the effectiveness and efficiency of the National Security Council (NSC) is necessary as the country contends with many more state and nonstate actors, around-the-clock public scrutiny, and exploding nontraditional threats, according to the report. DHS Science and Technology Directorate (S&T) last week announced its first Innovation Other Transaction Solicitation (OTS) aimed at non-traditional performers such as technology start-ups to offer solutions to some of the toughest threats facing DHS and the homeland security mission. Awarded through Other Transaction Solicitation HSHQDC-16-R-B0005, the first call for proposals is looking for solutions to improve situational awareness and security measures for protecting Internet of Things (IoT) domains. FEMA currently does not have the policy analysis capacity or necessary data to comprehensively analyze different options for making flood insurance more affordable. 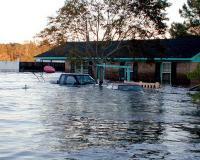 A new report identifies an approach for the Federal Emergency Management Agency (FEMA) to evaluate policy options for making premiums through the National Flood Insurance Program (NFIP) more affordable for those who have limited ability to pay. Representative Stephen Lynch (D-Massachusetts) was among the forty-seven Democrats who supported a GOP bill to tighten screening requirements for Syrian and Iraqi refugees. He explains: “I have very low confidence [in DHS’s ability to vet refugees] based on empirical data that we’ve got on the Department of Homeland Security. I think we desperately need another set of eyeballs looking at the vetting process.” He also revealed that a DHS IG investigation found that seventy-two DHS employees were on the terrorist watch list. U.S. Customs and Border Protection (CBP) has been significantly reorganized, according to a recent internal agency memo. CBP’s current four Operations Offices, however, will not be a part of the reorganization. These four offices, which employ 75 percent of CBP’s total workforce, include the Office of Field Operations, the U.S. Border Patrol, Air and Marine Operations, and the Office of International Trade. New offices in the proposed reorganization include Operations Support and Enterprise Services. The CBP reorganization comes in the wake of an unprecedented CBP scandal. Under new leadership, the Chemical Safety & Hazard Investigation Board (CSB) is hitting the reset button to put its embattled past behind it. The federal agency charged with investigating and issuing recommendations on chemical accidents wants to set an ambitious timeline for completing reports, but doing so will require a hold on new cases. The U.S. Department of Homeland Security (DHS) is seeking faculty, undergraduate, and graduate students interested in participating in one of its 10-week programs in summer 2016, including its Summer Research Team Program for Minority Serving Institutions and its Homeland Security — Science, Technology, Engineering and Mathematics (HS-STEM) Summer Internship Program. The deadlines for applying for both programs occur in December 2015. The IRS spent $65,652 on surveillance technology which tracks people by capturing their cellphone calls through StingRays – devices which mimic legitimate cell towers. The devices are also known as IMSI-catchers or cell-tower simulators. In addition to locating cellphone users, StingRays also use the signals to identify the owner of the phone, and may also be able to capture the phone owner’s contacts, messages, and other content off the phone. More than a dozen federal agencies, and local police in twenty-two states, have also employed the technology.